I’ve been back home now for a few days, and I have a couple thousand more images to go through now! I’m going to be doing it in a loosely chronological order. For that reason, I’m still working through this past December! 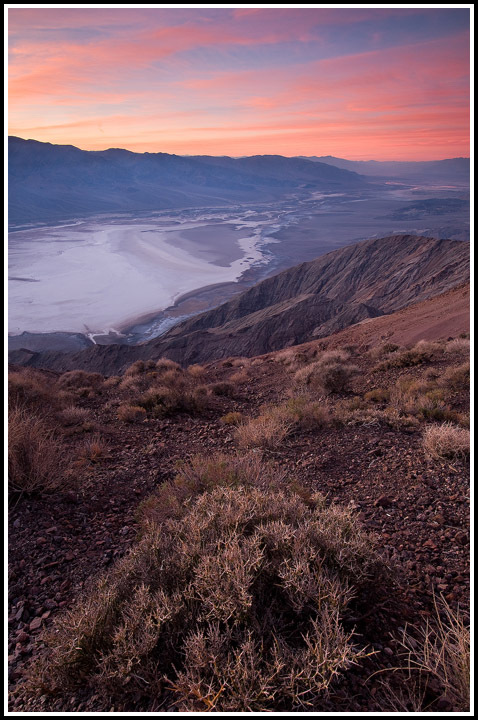 Here are two more from the amazing Death Valley. 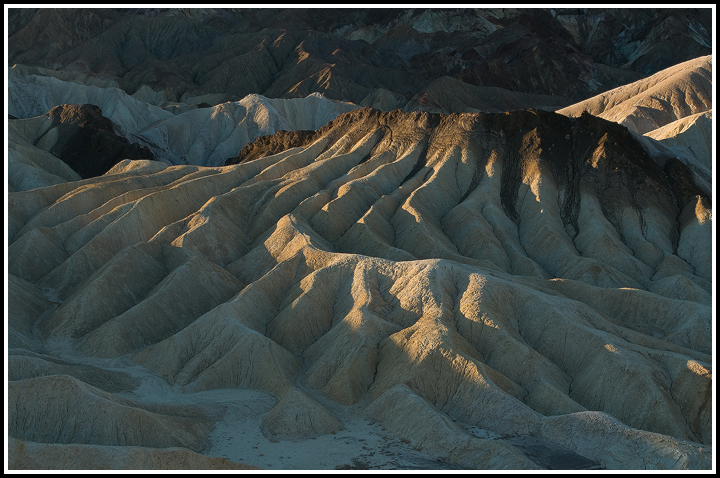 This one was from Zabriskie Point, and was taken about twenty minutes before sunrise. I just loved the thousands of compositional options with using a longer lens here. 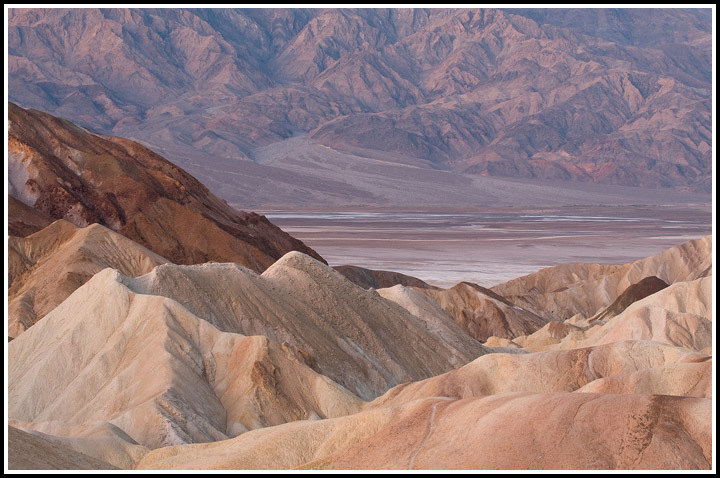 This second one is from Zabriskie as well, but on my last day in the park. I thought the clouds were interesting that afternoon, so I shot from a few overlooks. I’m not very proficient with black and white, and I have no problem admitting it. If you have any feedback regarding this one I’d love it. Please click the above images to view larger. Please click the above image to view larger. I wrote this last night and scheduled it to show up now. I’m probably out in the rain photographing some petroglyphs right now. I’m not particularly interested in them, but I think it’s a fun way to spend a rainy day, and it’s nice to have images of them. 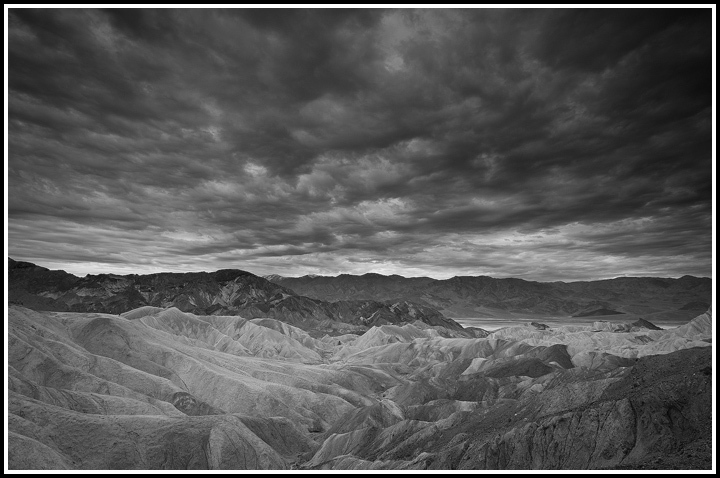 Here are two more from Death Valley that I’ve worked up. Posts from DV are short and sweet because the internet connection down here is painfully slow! 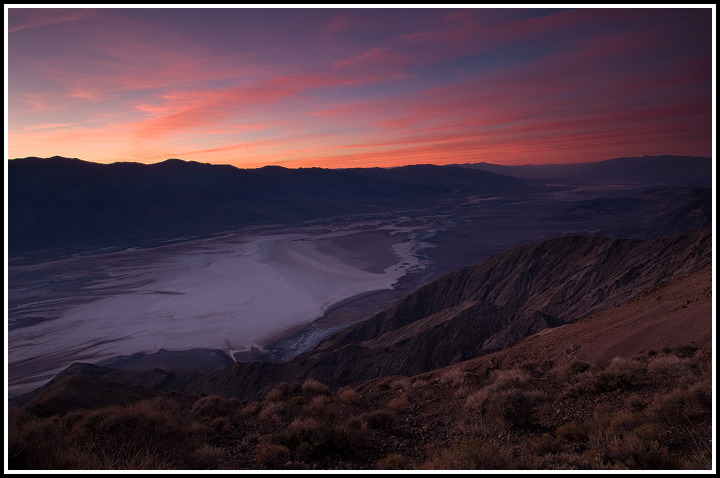 Here’s one from Dante’s View three nights ago. It’s quite a view from up there! I’m catching some wi-fi from the Visitor Center here at Furnace Creek, which is inside Death Valley National Park. I’ve been having some nice light out here, and the scenery is just fantastic… Almost looks like another planet out here. Here are two shots from Aguerreberry Point last night.